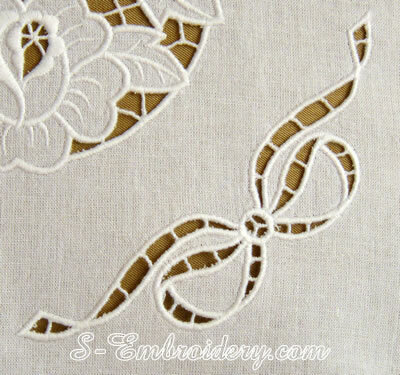 This is a set of 7 small cutwork lace machine embroidery designs. 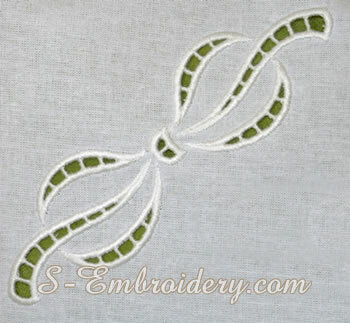 These cutwork lace embroideries can be used to complement larger machine embroidery projects. They are also available as a part of several of our sets in combination with other cutwork lace or crochet lace embroidery designs. The description of each design contains a link to the respective set so you could see an example of using the design in combination.. This design comes in 2 versions - the second is a mirrored copy of the first one. 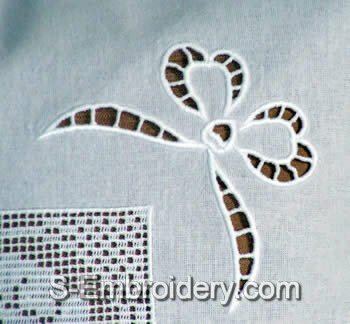 You receive 8 machine embroidery files (7 designs one of which - in 2 versions) and 2 PDF files with design information and generic instructions on creating cutwork lace embroidery.